Due to distribution shuffling, we ended up with a few copies of Catalyst’s first printing. This version has a thinner game box, no small card box, and a couple manual typos. Otherwise, it’s the same great demon-slaying adventure. A digital download of the Catalyst game manual. This defines all the rules and lore of the Catalyst universe, giving players and game masters all they need to create and play a campaign. 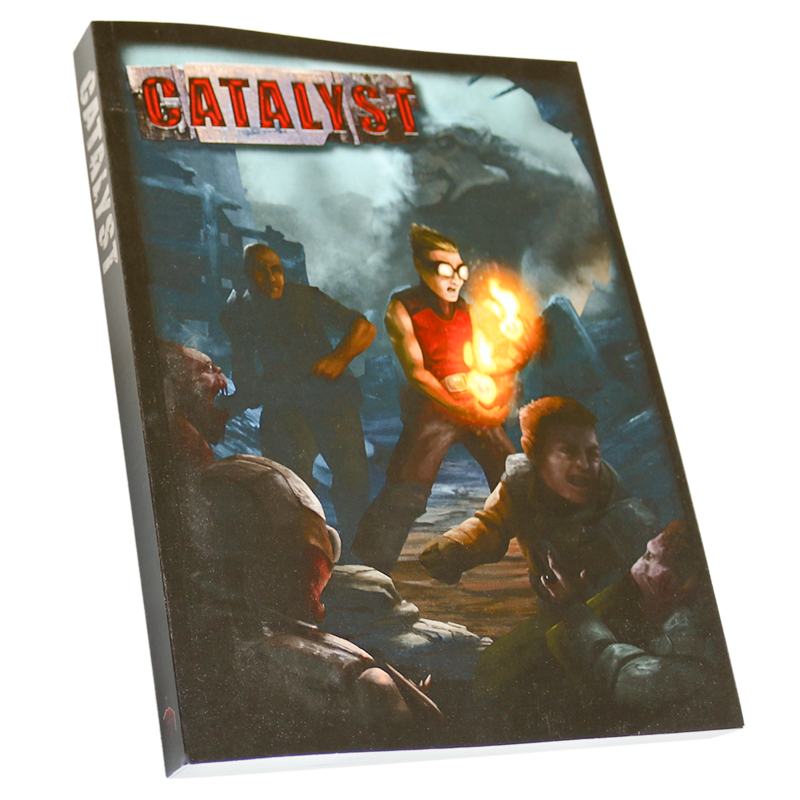 If you have purchased a physical copy of Catalyst, you are entitled to the PDF. Contact us to receive it. Check out our campaigns page to discover the perfect survival scenario. An extra deck of 142 Catalyst cards. Whether you have a giant group or want some physicality to your PDF version, these cards help give you the true Catalyst experience.